07.04.2015. Sydney, Australia. AFC Champions League. 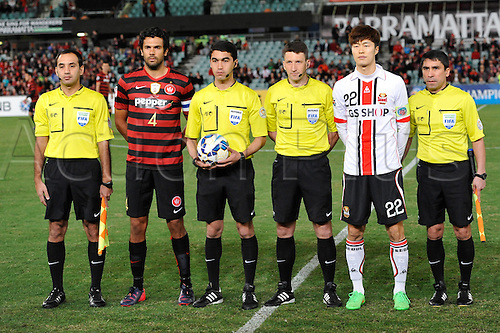 Western Sydney Wanderers v FC Seoul.Wanderers captain Topor-Stanley and Seoul captain Koh Myong-jin lineup before kickoff.